When I was in my early 20s, soon after learning a few chords on a guitar and hanging around other amateur musicians, I went to bars with them where they would let anyone get up on stage and play and sing popular songs. I quickly figured out I was definitely not ever going to be a great singer, and playing covers was not going to be my thing. What I liked was making up my own songs. We've all been there - songwriters, that is - to the event at bars known as open microphone nights - or just "open mic" for short. Mostly frequented either by people who know the performers well, or other performers who have put their names on the sign-up sheet list. We've all seen that poor soul who has barely learned three chords get up there and do his best and struggle to get through a classic rock cover song. We may cringe, we may smile, we may think to ourselves we can do better. Many of us have been that guy ourselves. We patiently endure his struggle and politely clap until it's our turn. Those guys may never show up again, they may keep at it, they may get better, or sometimes, they keep coming back but never really get much better at all. As more than just supportive friends or family, we who have been there, done that, have respect for those guys. If you're not a musician yourself and don't hang around musicians, you've likely never been to an open mic night. If you have, and you weren't a close friend or family member of a performer, you probably instantly make fun of how bad they are compared to the mainstream famous musicians whose music you own. Otherwise, we admire their courage and confidence. We want them to improve. It can be fun to give them encouragement, because as performers, after the polite applause and we put the guitar back in the case, get a beer, and re-join the crowd, we never forget the random kind comments, deserved or genuine or not. Let's face it: the guys who start that way rarely turn out to be performers with paid gigs. The guys who get paid gigs and maybe even go beyond that to become famous at some level always start out at a young age, often with lessons and experience in bands as teens. So by the time they are 20-somethings, they already have something more serious and professional happening than an open mic night. Or so it would seem. There are all sorts of peaks and valleys for the guys who start young too. There are one-hit wonder guys who had record deals teaching guitar lessons. There are a ton of former members of regionally-famous touring bands working at your local Guitar Center. 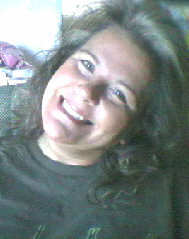 Some may seem like they have bad attitudes, as if they're frustrated with their lots in life. We know the types. Music careers are short. Few are sustained for longer than five years of legitimate notoriety. I'm not talking about symphony orchestra types. Which brings me to a funny phenomenon, speaking of classic rock - people will still buy concert tickets to see a band play their two hits that made it onto mainstream radio in the 70s, even when the band is only made up of one original member. You have one really old guy who somehow found himself with rights to use the band name, and who fill the vacant positions with young guys. Sadly, nowadays there are some open mic nights that feature really good singers and musicians, often who previously had some sort of formal professional involvement in music. In fact, some open mics require you supply to the organizer/host person some sort of credentials in order to be able to sign up - a "places played" or "played with" list. Not really "open" but they are good for the live music fans with a high entertainment quality to cost ratio. When I've been to such places recently - secretly scouting them out as a fan before mustering the courage to sign up myself - I am dumbfounded that these guys are not playing at more prominent venues with paid gigs on a Saturday night. Usually, open mics are on Monday nights or some slow night for the bar owner in an attempt to drum up more business, but in some places, they are the on the busiest nights of the week. They come and go. Some of the prominent ones last indefinitely though. I'm not talking about the kinds where people do comedy or acting skits or poetry. I'm not talking about the songwriter group get-togethers in some guy's living room. And I'm not talking about the ones in music hotbed places like Nashville or Austin or NY or LA or even most university towns - totally different ballgame in those scenes. I'm talking about dive bars outside major metropolitan areas - the only types of open mics I have any significant experience with - where there are normally no songwriters to speak of. Trying out your own songs in these places is rare - and if you attempt one, it better be funny to go over well with the drunk crowd. The typical open mic I'm familiar with used to be dominated by baby boomer folkies, but now they are dominated by generation x'ers like me. Old overweight white guys with beards and day jobs and acoustic guitars wearing jeans. To stereotype a bit more, at least half of all performers at these places will know how to play "Amie" by Pure Prarie League, for example. You know the types. At one such place in the small town of Holly, Michigan recently, I went in to check it out. I sat at the bar, ordered a burger, and watched an unusually well-organized open mic with a great mixer and PA system. The kind that is narrow with brick walls and has the stage behind the front window of the place. Unsurprisingly, it was all cover songs, but surprisingly, it was run by an older, seemingly well-intentioned guy instead of some 20-something guy like I used to be who was never really good enough to get real gigs and this was his big night to also play himself in addition to hosting. Also surprisingly, it was on a Saturday night and had unusually good singers and players. Shockingly high-quality for a small town in the Flint area. When I commented to bartender lady that these guys were so good I couldn't believe they were playing at an open mic on a Sat. night, she said something like "oh, you have to be a pro to play here." Then I said "usually open mics are for amateurs who aren't very good," to which she replied "no, that would be karaoke night." Really funny, I thought, but also too bad there must not be much of a live music demand in the area anymore. I should tell you that I don't drink, and don't get out much, so I've been intentionally absent from the open mic scene for several decades. I'm in my early 50s now. In areas that don't have a music scene to speak of, let alone a songwriter community, the few who self-identify as songwriters will inevitably show up and maybe try an original, but they also have to have an Eagles, James Taylor or Bob Seger song ready to throw into the mix. It's weird, but it's just the way it is. A lot of them are just amazingly good nowadays though, which is a reflection on the state of the music business I think. They should be playing paid gigs if not touring, yet here they are in a dive bar on a Saturday night. Lots of ways to be employed in music, lots of ways to have it be a side gig to the day job. In recent years, you have guys like me who really have no business calling themselves musical artists, yet have inexpensive home recording equipment and songs for sale in online music stores. I really was among the first wave of people who did this when such a thing became possible with the internet and inexpensive aggregator distribution services. The "record" part of the music business has also changed drastically to allow in the average open mic guys like me. Sort of. It doesn't mean you can quit the day job. It's easy to make fun of all the hacks out there with homemade music on the web who seem to think they are really good, but probably don't have many who agree. I don't make fun of them. I am one of them. I have respect for them. There are probably 50 rappers from Flint with music online, and 25 punk rock bands. Those two genres are wildly popular around here for various reasons. I'm not sure where the rappers start out performing live, and I know of one all-ages punk place a guy I know runs in Flint, but it's classic rock that dominates the open mic scene I'm aware of. Still, after all these years away, I'm rediscovering it, and there's one big difference - these guys seem exceptionally good now, which makes me feel even less like I am worthy of putting my name on the list than in my 20s when I actually knew how to play a few classic rock songs all the way through. Aside from the rap genre - where "dissing" is an acceptable thing, you rarely hear famous musical artists saying anything negative about other famous musical artists in the press. They even go so far as to be careful about saying which artists or types of music they personally like or don't like, I think. It must be because they have respect for what their contemporaries have gone through to get where they are, even if it's not their cup of tea. It's the same reason you won't hear doctors telling you some other doctor isn't very good. It's just not professional. I should probably be embarrassed to even call myself a songwriter or musician, let alone a "recording artist." I'm an amateur hobbyist at best, but it's a great feeling to know my music is "out there" in the world and publicly available for people to potentially discover and hopefully appreciate. I have to admit that. If it wasn't possible, I would still be happy to make up songs in my man cave, but it's a bonus to know of the discovery or recommendation potential. A few people have checked it out and even fewer have said they liked it, but a little of that goes a long way for guys like me. I make a few acquaintances aware of the fact that my music exists, and there's that possibility - a slim chance they'll click the link to the free streaming. Even slimmer is the chance that strangers all over the world could and can discover it and enjoy it. It's happened a little bit, and it's just very cool, so it's a part of the motivation. There's the nagging feeling you're not worthy though, and that maybe you should be ashamed for even trying. It's weird. In the same way that famous musicians are often quoted as saying they intentionally disregard reviews and criticism, the average joe songwriter/home recording guy like me benefits from keeping those kinds of self-defeating thoughts at bay. Yes, they creep in. Yes, I know I'm not as good as most of the people who have their albums for sale on Amazon or iTunes. I try to not let it detract me. I am a realist in knowing taste in music is a very individual thing. People's preferences are what they are regardless of reviews. Not many people will ever discover my music, and most who do will not like it. The one thing I claim to be somewhat good at and proud of - songwriting - is probably not that good in the grand scheme. But hey, there are people who don't like Bob Dylan's songs, Jimi Hendrix's guitar playing, or Elvis Presley's singing too. The average joe American open mic night performer is vastly better now than what I remembered. It must be there just aren't many opportunities in this depressed, poverty-stricken area than there used to be for musical acts and solo artists to get paid to play in bars on Saturday nights anymore, so they are relegated to "premium-level" open mic nights now. A sad state of affairs. Anyone can record themselves and put their music on the web now though, so that's an interesting and possibly sad change, too. I think it's a good thing though, obviously. The "kind words" about your online recordings go just as far as the kind open mic performance comments at bars. As rare and minor and insignificant as they might be, they are nonetheless fuel. Just because you can afford a computer and a microphone and learn a few guitar chords and write a few lyrics doesn't mean you can actually sell the recordings you put online though. There's the possibility you can though, which is one of the reasons why people do it. You know if you have the right song and video on YouTube, you can be one of the .00001% who gets lucky and makes some money with the viral social media recommendation thing. The bottom line for me is I have to sell about three albums to recoup my distribution expenses (not considering my own labor and equipment purchases) for releasing an album online. Without any promotion, marketing or advertising to speak of, other than posting to social media a simple release announcement, it's possible. So, I keep doing it out of a love for writing songs and recording them. Performing them is another story. With recording, I can take my time to get it as right as I can - do several takes and use a few software tools to make myself sound as good as possible, and this is probably better than I would sound live, so I'm willing to go for it with releasing the music in the online music stores. I'm seriously not good enough to perform live, and even at the old kinds of dive bar amateur open mic nights I used to frequent back in my 20s, I was a notch or two above the newbie who really shouldn't be there yet, and quite far from the guys who people can't believe aren't famous yet. I'll never be a great singer, and I've never been one to focus on being a great guitar player, let alone the other instruments you hear on my recordings. Like the average open mic night guys who keep showing up to play classic rock covers and never really get much better, I am kind of that way as a songwriter and recording artist. I'm not very good, but I keep doing it anyway. I just like writing songs, and although most of them are terrible, some are not so bad, so I record and release them. It's a thing you can do nowadays. While the few who've taken the time to check out my music may not have noticed, I've noticed slight improvements in various areas over the years. Onward and upward, steady as she goes. It's a fun hobby. Old is new, future is now: new album out early !!! A while back I decided I would do a songwriting/recording project that included revisiting/rewriting old previously-unreleased songs from my early days of songwriting back in the early 90s when I lived in Vail, Colorado. As the project work progressed, an unintentional theme revealed itself: I had several songs about skiing; several that were either about the blues or the color blue or had blue or blues in the title and/or lyrics; and several that were about birds or flight or at least included that subject matter in the lyrics somewhere. 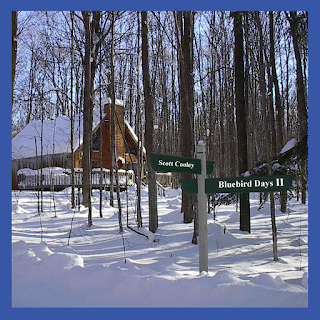 A logical album title emerged: Bluebird Days -which seemed to cover all three aspects of this unifying common denominator and tie it all together neatly. As work on the project progressed even further, I realized I not only had bird and blue and ski songs, but that work on old ones sparked the creative muse to write some new ones as well, and next thing I knew I had enough for not one but two albums. It all made great sense to me, it was all coming together, and before too long I had 26 "new" original songs recorded, two albums done, ready to upload to my digital distributor aggregator CD Baby, who deliver to their partner site online music stores for purchasing, downloading, streaming and whatnot. I thought it was cool that CD Baby delivers your digital album (not CD) to stores like iTunes, Spotify, etc. at "future" release dates you specify in a calendar picker widget thingy on their website. So, as an artist, I sent them two albums a while back - one to be released in 2020, the other in 2022. That way, I figured, if I die skiing or something, I'd have two more albums that would automatically be released in the future, and the massive royalties would sustain my heirs for generations to come. Ha ha. It's a nice feeling to have two whole albums "in the can." This feature also allowed me to continue with my predictable, consistent release schedule commitment I made to my fans decades ago: which was to release a new full-length album of self-written, self-recorded songs every two years in even-numbered years on my birthday, June 21st. I had just released "Missing The Boat" album in 2018, so with 2020 and 2022 all set, I wouldn't need to have another album's worth of material again until 2024, which would give me five glorious years of being able to really take my time to bring fans my best stuff. All was going according to plan and life was good. 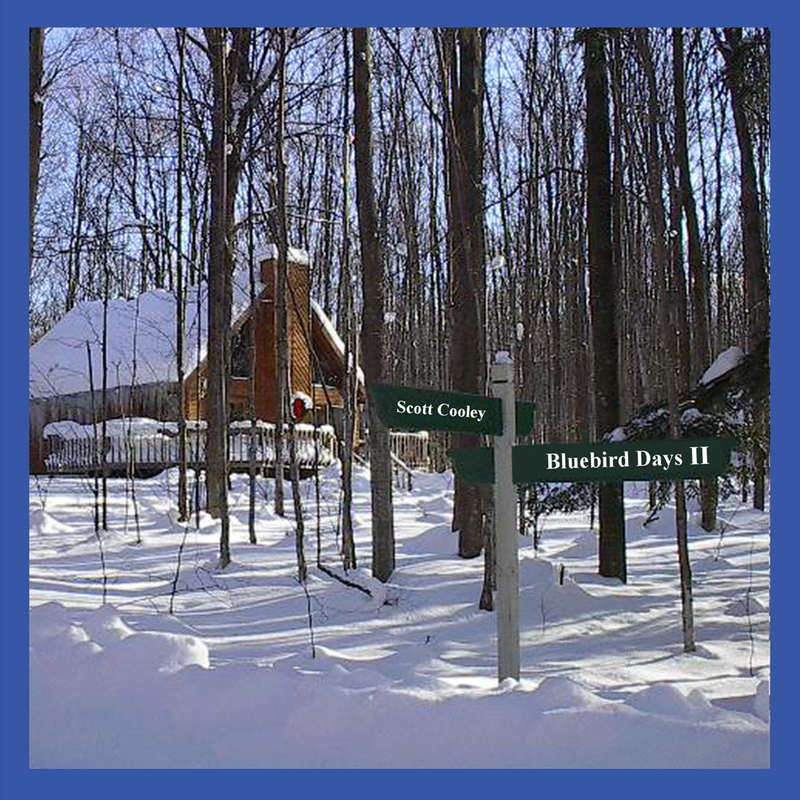 "Both "Bluebird Days" and "Bluebird Days II" have correct metadata in our database and have not been released on the CD Baby store. However, it seemed that the more than three year timeline was too long to wait for activation on the partner sites. Because this is an unfamiliar problem there are no fail-safes that would help to avoid a submission going live upon delivery despite having a release date in the distant future. It's unclear what the specifics are for an acceptable timeline for future releases at partner sites." They gave me a free "future" album release credit after I complained nicely yet firmly. Maybe I'll use it for a "best of" package, who knows. Now you can see the remaining issue - you get a follow-up, sequel album before you get the original or what I'm now calling the prequel. The II before the I. The first Bluebird Days (which has no roman numeral I) apparently was somehow not affected by the same snafu, so is still scheduled to be released on June 21st, 2020 as planned, so you'll have to wait a year and a half for that one, but the second one from the future 2022 release year you can have way early (3 1/2 years early) and it's available now (in stores as of Jan. 29th, 2019 actually). Similar things have been done before. Guns N'Roses had a couple of albums called Use Your Illusion, but their first one actually had a roman numeral one in the title, whereas mine does not. Later they combined the two into a compilation without the I or the II, or something like that. But they intentionally used an "N" instead of the word "and" in the name of their band. Lots of greatest hits albums have a volume I, II, or even III, which sometimes have songs on subsequent ones that were from the time period of previous ones if that makes sense, so that's a thing. What's really weird is that Neil Young released a Chrome Dreams II album before the original, which wasn't released at all I don't think, which just happened to have as its first song a song titled "Beautiful Bluebird," and although I'm a fairly big Neil fan, I don't have that album, and I only learned this after reading about it on wikipedia a couple days ago. Yet another example of the many strange coincidences surrounding this album of mine, such as the fact that it got mistakenly released on one of the coldest harshest winter days on record in Michigan during a polar vortex. Sometimes things don't go according to plan, and sometimes it's good to break from tradition, shake things up. Things happen for a reason. It's best to go with the flow.